Before there were memes, there was pen and paper, and whether you are a fan or not, most likely there are several entries to which you can relate…and laugh. 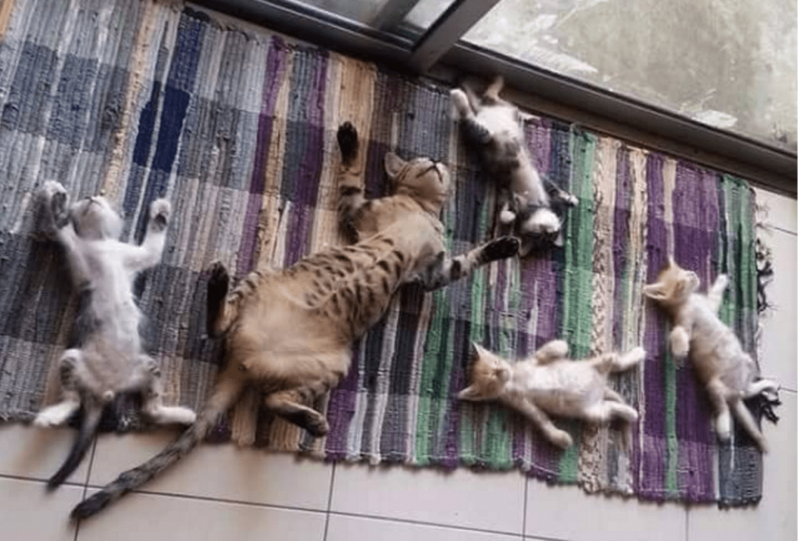 We all know that cats can be comfortable most anywhere…even if it makes us uncomfortable to look at them and these cats are no exception. 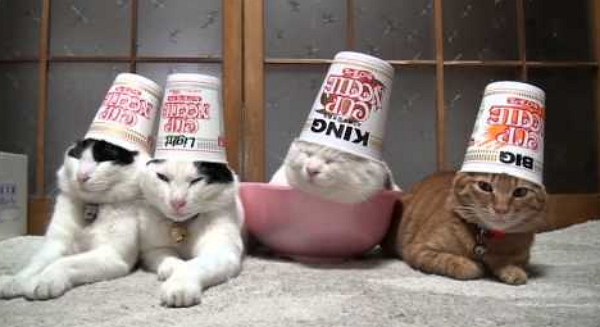 We’d pay these cats to do this, but they came up with the idea on their own. Is it purrvana or a meowssacre? Reddit wits weigh in. 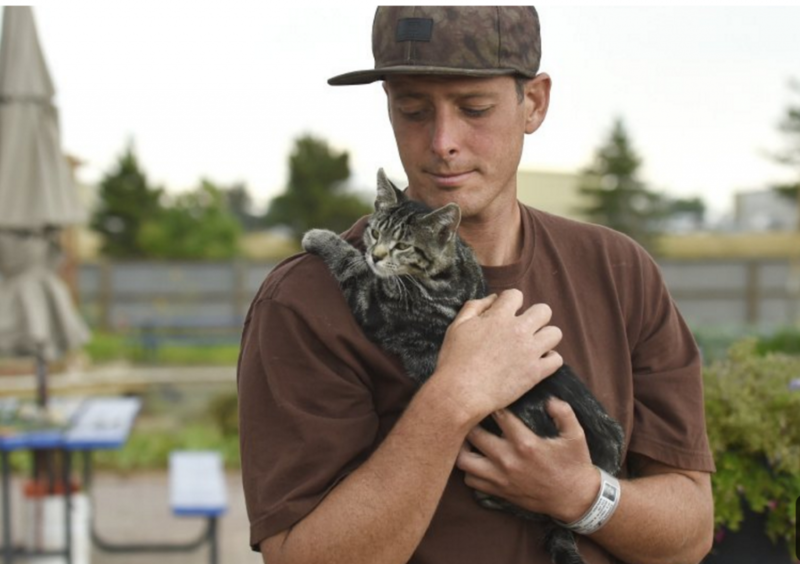 Cats and plants can make a man feel differently about himself, especially if he’s an inmate at the county jail. 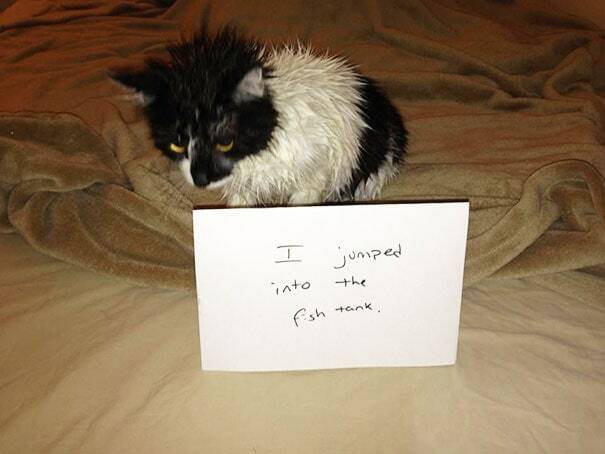 If you own a cat, it helps to have a sense of humor. 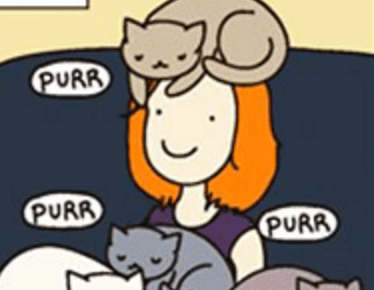 Here’s Yasmine Surovec’s take on living with kitty in her insightful Cat Versus Human comics. 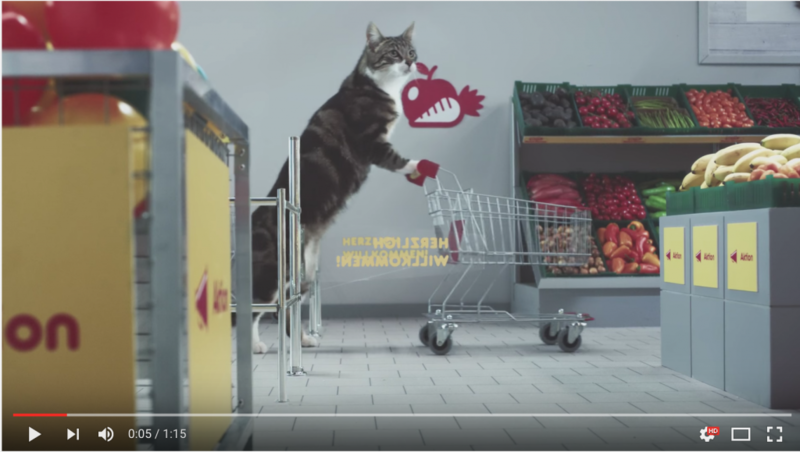 This German commercial of cats pushing shopping carts to techno music takes strange to a whole new level. 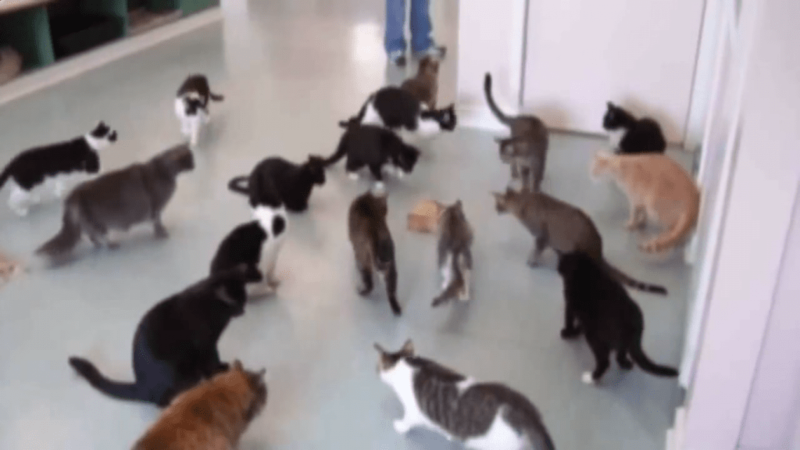 Love it or hate it, the popular spot is further proof that kitty videos are catnip for humans. It must be admitted that these must be the most patient, calm, and unflappable cats ever. 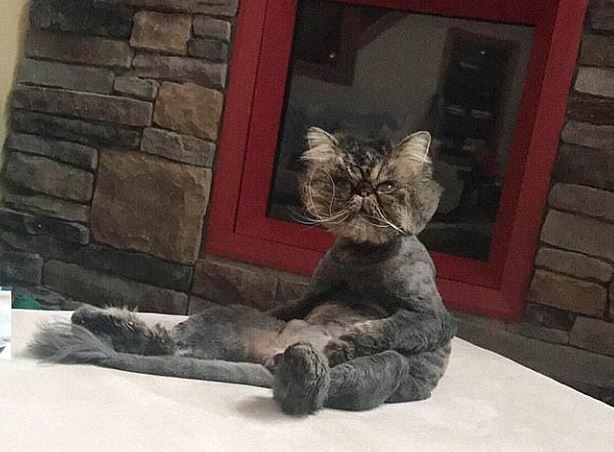 Can’t get enough of funny cats? 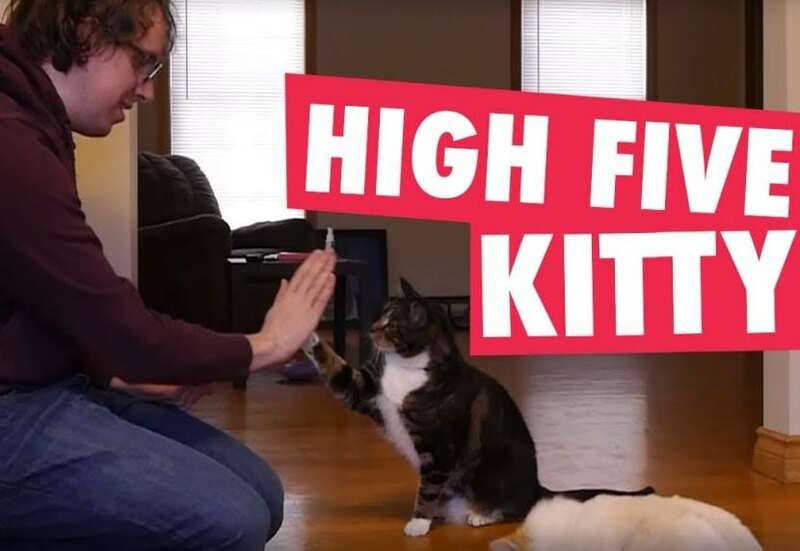 A kitty gives high-fives. Watch! 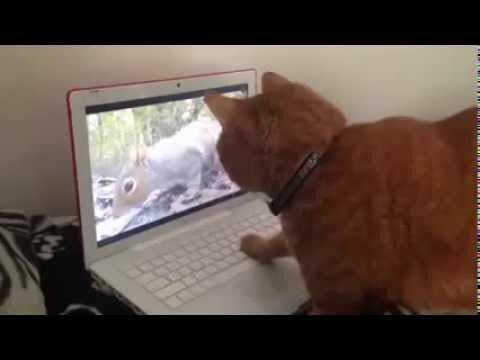 An orange tabby cat is captivated by a squirrel on the computer screen in this cute video.